Knishes - Broccoli and Cheese, 2 ct.
Our broccoli and cheese knishes have a perfectly flaky dough surrounding a filling of, you guessed it, broccoli and cheddar cheese. We've baked them golden brown for you, and they can be eaten hot or cold. Serve them as a snack or a side dish. Delivered to you in a two pack. Knishes - Broccoli and Cheese, 2 ct. has been added successfully to your wishlist. When you were a kid, Bubbe used to tell you stories about all the food she would buy from street vendors in New York City - hot dogs, pizza, pastries, pretzels and knishes. Oh, the knishes. The knishes were her favorite. They were the perfect snack - compact, tasty, and filling. Truly an eat-on-the-go food. Her favorite was the meat knish (especially from the vendor near Prospect Park), but any flavor would do in a pinch. Sometimes she ate them hot, sometimes she ate them cold, but she always ate them with a touch of spicy mustard. There are currently no reviews for Knishes - Broccoli and Cheese, 2 ct., but you can be the first! 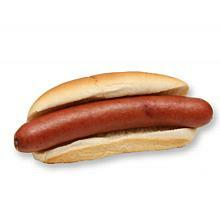 Schmaltz Recipe Hot Dogs, 1 lb. 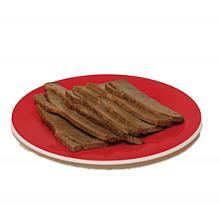 Schmaltz Recipe Sliced Brisket, 1 lb.